Easy to use, make your aquarium more vivid. Need to install with glass glue onto the aquarium. Can be cut to size with knife, the foam is easy to cut. You can cut or joint them according to your fish tank size. 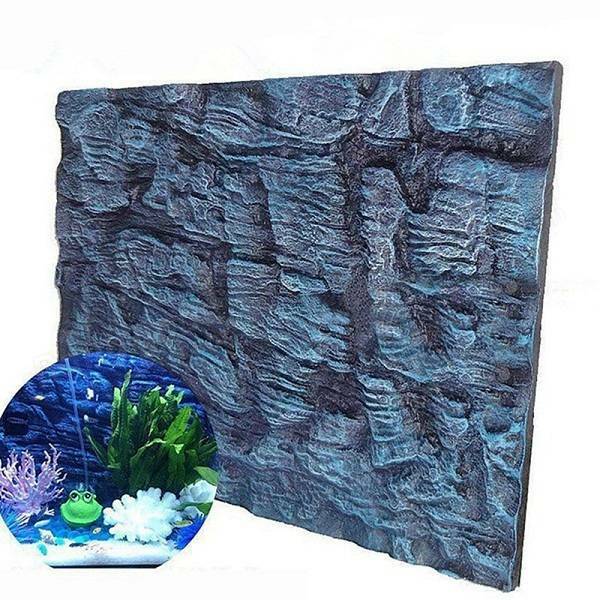 The aquarium ocean wallpaper gives your aquarium much more ornamental value. Used with other aquarium decoration, such as water plants, rockery and so on, the effect will be better.